One News Page > Sports News > Spence shines again; Pacquiao next? 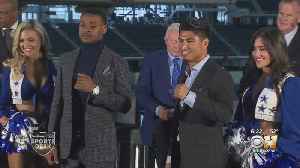 Give Mikey Garcia some credit: He showed some real guts by going up in weight and lasting 12 rounds against Errol Spence Jr. Subscribe to DJ Mag TV: http://bit.ly/Oduqwo Marc Spence, a dj/producer who knows no boundries on what kind of house music he makes or plays. He’s a big believer that there’s a time and place..